Scamander is a small town at the mouth of the Scamander River between St Helens and St Marys on the north-east coast of Tasmania in Australia. 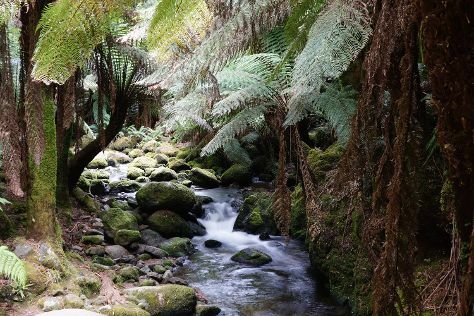 Change things up with these side-trips from Scamander: Pyengana (Pyengana Dairy & Holy Cow Cafe & St Columba Falls Reserve), Douglas-Apsley National Park (in Bicheno) and St Helens (St Columba Waterfall, The Shop in the Bush, & more). Next up on the itinerary: examine the collection at St Marys Cranks and Tinkerers, tee off at Cerise Brook Orchard and Family Golf Course, take in the exciting artwork at Suncoast Gallery, and explore the galleries of East Coast Art Supplies & Gallery. For where to stay and more tourist information, read our Scamander trip planner. Berlin, Germany to Scamander is an approximately 35-hour flight. The time zone difference when traveling from Berlin to Scamander is 9 hours. September in Scamander sees daily highs of 17°C and lows of 4°C at night. You'll set off for Coles Bay on the 13th (Fri). Get out of town with these interesting Coles Bay side-trips: Swansea (Spiky Bridge, Melshell Oysters, & more) and Bicheno (East Coast Natureworld & Denison Beach). Spend the 16th (Mon) exploring nature at Freycinet National Park. 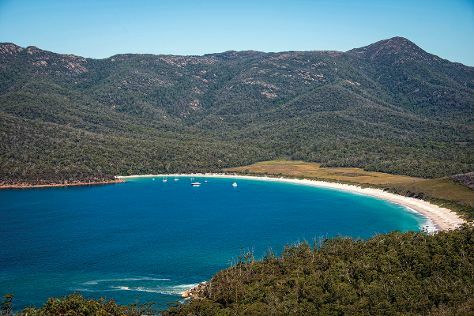 And it doesn't end there: walk along Wineglass Bay Lookout, take a memorable tour with Tours, kick back and relax at Friendly Beaches, and stroll through Wineglass Bay. Find out how to plan Coles Bay trip without stress by asking Inspirock to help create an itinerary. Getting from Scamander to Coles Bay by car takes about 1.5 hours. Finish your sightseeing early on the 20th (Fri) so you can travel to Orford. Orford is a village on the east coast of Tasmania, Australia 73 kilometres north-east of Hobart. Orford is known for wineries and beaches. Your plan includes some of its best attractions: learn about winemaking at Darlington Vineyard, enjoy the sand and surf at Raspins Beach, and get great views at Three Thumbs Lookout. To see reviews, other places to visit, traveler tips, and other tourist information, refer to the Orford day trip planner . You can drive from Coles Bay to Orford in 1.5 hours. September in Orford sees daily highs of 18°C and lows of 7°C at night. You will leave for home on the 29th (Sun).